In this step, you will save the model. 1. 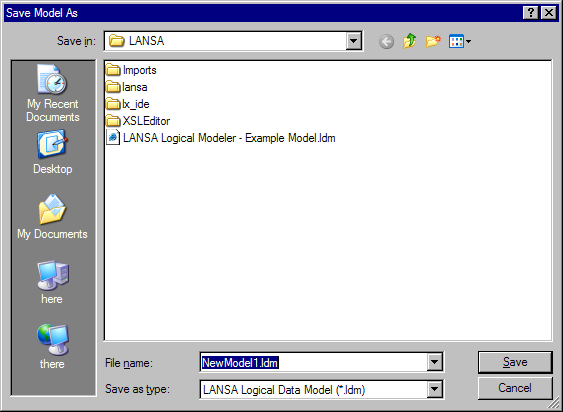 To save the model, click the Save button on the main toolbar, or select the File menu and choose the Save option. 2. Enter a name that is meaningful to you and click the Save button. The model diagram will be redisplayed and a Model Saved message will be displayed at the bottom of the main window.